DHA city is also having a slow-going market at the moment. Rates at DCK is also going downwards but still the project has a lot of potentials. If you’re looking to make an investment, I’ll advise you to keep DCK as one of your top three priorities. Currently, the average selling and purchasing of Plots at DHA city are around 10 to 15 units per day. DCK is one of the most reliable and trusted project of Karachi to invest on. It is just a matter of time and we will see some recovery. 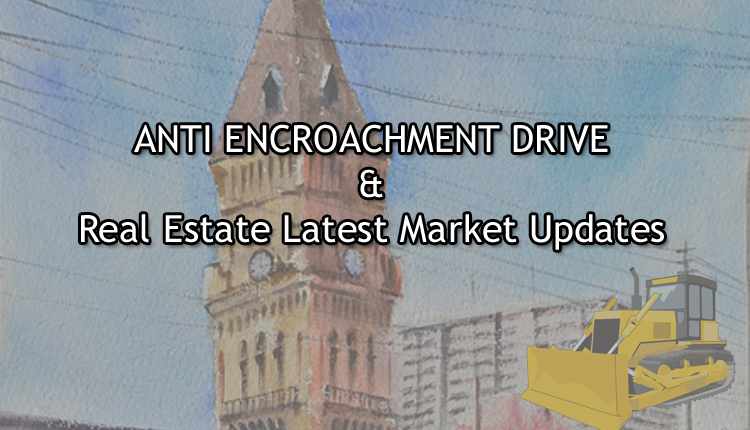 A few days ago, the file of 500 yards sold at around 85 lacs in sector 12. Looking at the overall market situation of the city, I believe the situation of DCK is not that bad. If the buyers are very few in numbers, the sellers are also limited, which makes the equation balanced for both the parties. The activities in Bahria town Karachi is near to zilch. But I must say Bahria Town has the bright future ahead. The market of the project will resume flourishing once they sorted out their legal issues. if you’re willing to invest in Bahria, I will advise you to wait for some time. If you’ve already plot(s) in Bahria, you should hold them for a while. Probably the legal issues of the project will be resolved in February or March, then you will have a good chance of better returns of your investment. MDA Scheme 1 (MDA I): The demand for MDA scheme 1 has been created artificially. It is 100% gamble. So stay out of it. Prices were realistic till September, but after that this is all cooked up by starving agents of BTK and DCK. Do your own due diligence before writing a cheque for this project.